The rivalry between Bill McAnally Racing and Bruncati Racing will once again be tested this weekend at Colorado National Raceway. 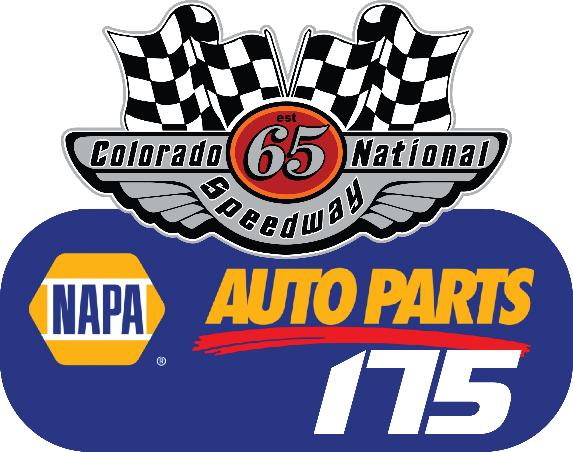 It will be the 12th straight season and the 16th visit of the NASCAR K&N Pro Series West. CNR has held the Pro Series West every year since 2007. Drivers for McAnally's team since then have won six times. Their chief rival, BBR have two total wins at the speedway, one by Derek Thorn in 2013 and one by Ryan Partridge in 2015. It's quite possible that the winner of Saturday's race could come from either team. Last year, McAnally's team finished in the top three positions at Colorado National RacewayFormer BMR driver Chris Eggleston won three times out of the last for seasons. NASCAR Next Driver Cole Rouse now drives for the same team Eggleston raced for. The battle for the championship is tight with Partridge holds a lead of only three points over Thorn. Derek Kraus is only 12 markers behind Partridge while Rouse is 14 points in arrears to Partridge. 2018 has been a surprising year thus far. Kody Vanderwal swept both races at Tucson Speedway and is a title contender. Hailie Deegan is a BMR driver who ran well and led laps in the East Series event at Memphis International Raceway. 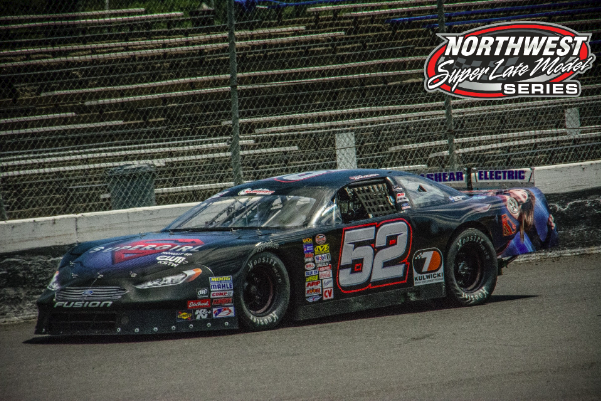 Trevor Huddleston has posted three top 10 finishes in four starts in his Sunoco Rookie of the Year campaign and could be a big factor in the upcoming event. MADERA, CALIFORNIA (June 5, 2018) – One of the top open-wheel events of the year is at the Madera Speedway this Saturday night with the “Lucas Oil Summertime Horsepower Nationals” led by features for both the Lucas Oil Modified Series and the North State Modifieds. In addition to the ground-pounding Modified excitement will be action for the USAC Western US Midgets, CSS 360 Super Modifieds, and Legends of Kearney Bowl. Taylor Miinch heads into the Spillvak 75 presented by Protect the Harvest with an impeccable record of three consecutive Lucas Oil Modified victories. 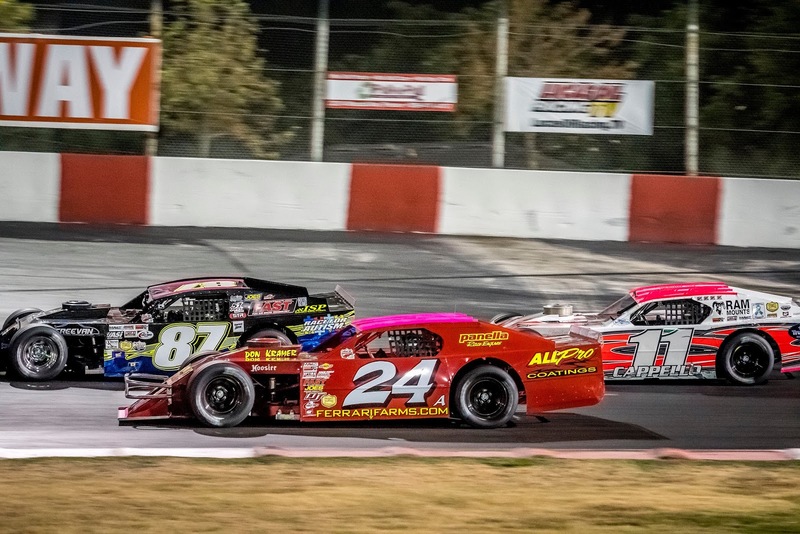 The 2017 series champion has not yet won at Madera Speedway, however, but appears primed to do so after a dominating win in May at Las Vegas. Former series champion Dylan Cappello has won twice at Madera and would like to return to victory lane after finishing second at Vegas. 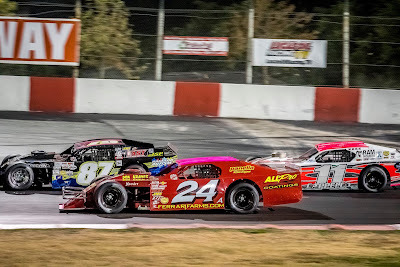 Scott Winters of Tracy is a two-time Madera Speedway champion in Modifieds including 2002 when he won the NASCAR Regional Title at the one-third mile. Winters is also a two-time Lucas Oil winner at Madera but last won at the track in 2015. He currently ranks a distant 14th in the championship fight and Madera could be the race to turn his fortunes around. Loomis’ Michael Mitchell is fifth in the standings with strong Madera ties with his team also running a two-car Mini Cup operation at the track. Third in the North State battle is Sacramento’s Jason Philpot, the winner of round #2 at Eureka. Philpott has three straight podiums at Madera with North State including one win. Last year’s Madera North State race was won by Lucas Oil regular Matthew Hicks. Three-time defending series champion Darrin Knight has a Madera win on his resume as well. Lance Jackson and Donnie Large have split the CSS 360 Super Modified races at Madera this year, with AJ Russell surprisingly locked out of victory lane. 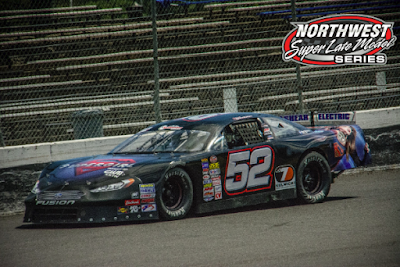 The battles will continue in their third race of the year on Saturday with a 30 lap feature scheduled. The USAC Western US Midgets have been dominated by Adam Lemke of Hollister, who also competes in Madera’s RPM Mortgage Pro Late Model Series. Lemke is 3-0 in pavement competition this year. Youngsters Blake Brannon and Joey Iest, both graduates from quarter midget racing at the adjacent Good Times QMA, round out the top-three in the pavement points. Legends of Kearney Bowl always present a strong turnout of vintage Super Modified excitement and will round out the exciting card. Madera Racing on MAVTV airs Thursdays re-runs of the 2017 season every week. The show airs at 5 p.m. and 8 p.m. PST and is also available on the Lucas Oil Racing TV app. New 2018 episodes will begin airing Thursday June 7th.